Barbara Kloss loves adventures, and finds them through reading, writing, trekking through the wilderness, and gaming--though she doesn't consider herself a gamer. She just happens to like video games. RPGs, specifically. She's also a bit of a fitness enthusiast, a classically-trained pianist, and she believes that maintaining balance in life is a good thing (coffee excluded). Before she opted to write full-time, Barbara worked for years as a clinical laboratory scientist. She was lured there by mental images of colorful bubbling liquids in glass beakers. She was deceived. 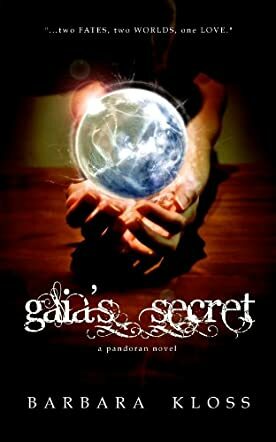 Gaia's Secret by Barbara Kloss is an exciting fantasy novel about a girl named Daria whose dad goes missing. To find her dad, she travels through a portal and finds herself in Gaia. Gaia is a land where magic exists. Everything Daria knew on Earth was a lie and in bits and pieces she learns the truth: how she wasn't from Earth, how she can do magic, and how she is powerful. As she travels with the Del Contes to reunite with her dad, she begins to regain her friendship with Alex, whom she had not seen for 3 years and had started to dislike. Scary, death-defying things happen. Will Daria be reunited with her dad? I loved Gaia's Secret and I can't wait to read the next book in the series! Gaia's Secret was well written, descriptive and very exciting. I would definitely recommend it to everyone. I think that Barbara Kloss put a lot of time into developing Gaia and did a great job developing the characters. Gaia's Secret had a lot of funny parts that I enjoyed. After I got halfway through the book, I couldn't put it down. I loved this book. It had lots of suspense and I just had to know what would happen next. It was definitely a page-turner and had lots of scary and exciting moments. There was plot twist after plot twist, each one more shocking than the one before. You should definitely read Gaia's Secret.